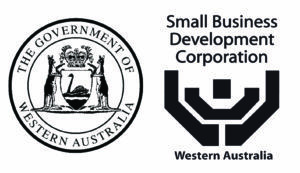 Illuminance Solutions collaborated with the Small Business Development Corporation (“SBDC”) to analyse current business processes and to identify areas where improvements could be made. Specific improvements included the ability to use CRM to support event management and other functional areas of the business, and to enable the system to migrate to an upgraded version of CRM in the future. Illuminance Solutions reviewed and audited SBDC’s overall management system readiness for integration of all separate systems, including an event management add-in and other add-ins. financial resources could be saved overall by an early upgrade as some integration and functionality development work would otherwise have had to be undertaken twice.SBDC engaged Illuminance Solutions to plan and implement an upgraded CRM. As a result of this work, improved performance and reliability of the overall management system has been achieved, internal processes have been streamlined, and user experience has been improved. Illuminance worked with SBDC by analysing their current business processes, identifying any gaps and areas for improvement. The analysis was also conducted to determine how SBDC could use their CRM to support event management and other functional areas of the business. It was also understood that at some point, migration to an upgraded version of CRM would need to occur. Due to the expected cessation of Microsoft support in the near future for the current version of CRM, financial resources could be saved overall by upgrading now. SBDC engaged Illuminance to plan and implement an upgraded CRM. During implementation, an unexpected potential security fault occurred resulting in a single CRM feature becoming unavailable. Illuminance immediately escalated the issue to one of our deployment specialists who after analysis, identified and resolved the issue in a very short timeframe. Implementation continued on schedule with no further unexpected system behaviour.